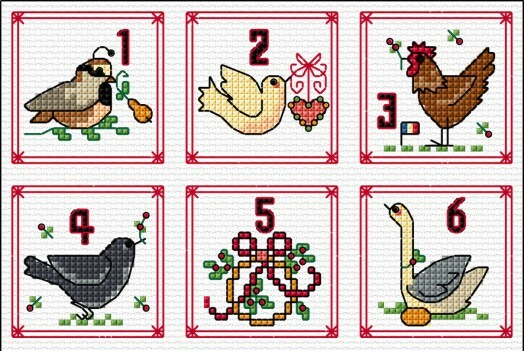 Here are the last two motifs to complete my 12 days of Christmas sampler / card designs. Hope you have enjoyed them, especially as they are simple and small enough to complete quickly. 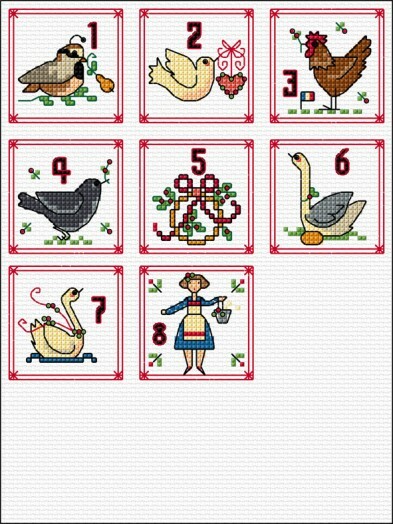 Hope you are enjoying my simple designs for the 12 day's of Christmas. Just realised I need a holiday as earlier I forgot the previous two days for 5 & 6!! which have now been added. 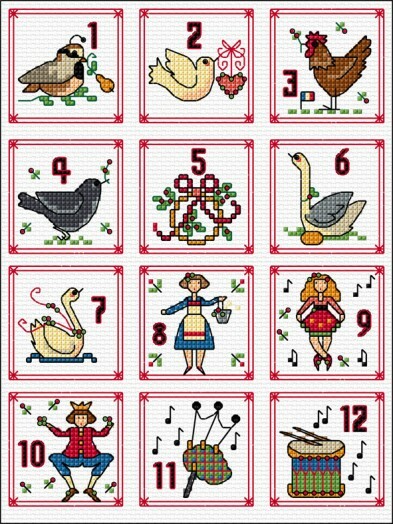 So next Friday I will add the remaining four so you can complete in time for Christmas. Enjoy your weekend and sorry for the mistakke. 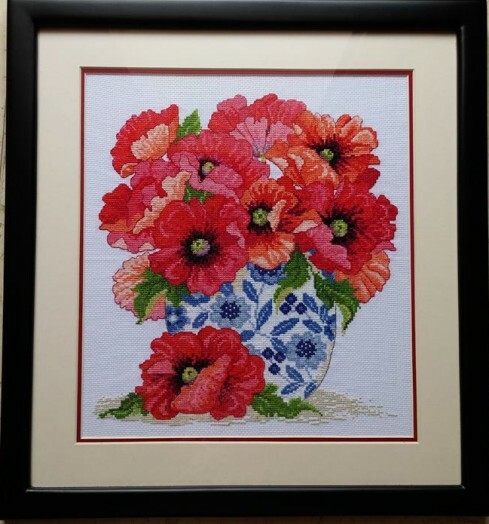 Perhaps its good stitching weather here in the UK as it doesn't look too good out there! Get ready for the Owls! The first Owl design will be posted on 1st January 2019. Here is the list of threads that you will need for all 12 owls. It is entirely up to you, as the stitcher, whether you follow this, or you can choose your own colours if preferred. The perle thread 666 is optional, and you may like to work a sample first before making a decison on the threads to use. 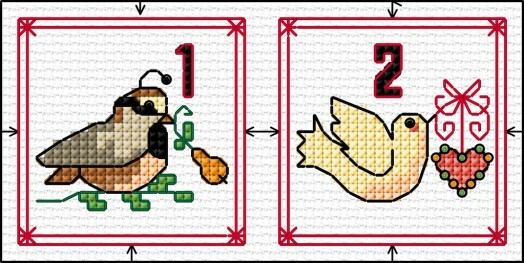 Two more Christmas motifs for days 3 & 4 which I hope you will enjoy stitching for cards or making into sampler. The larger picture also shows the next couple of designs which I will add sometime next week. Certainly a change in the weather here in Suffolk and a wet and windy start for Tilly and me on our morning walk. I hope you have noticed that I popped a couple of free Christmas designs on my blog last Friday. 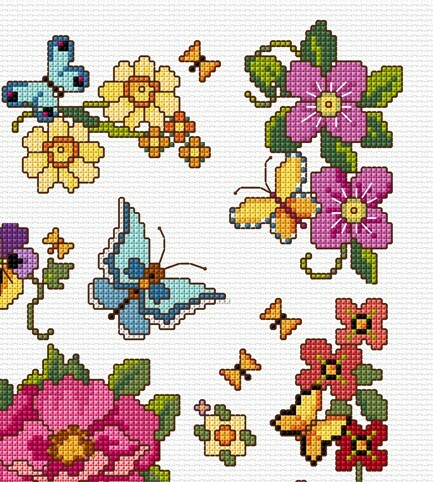 A couple more will be added this week and are ideal as they are simple to stitch for those last minute cards. 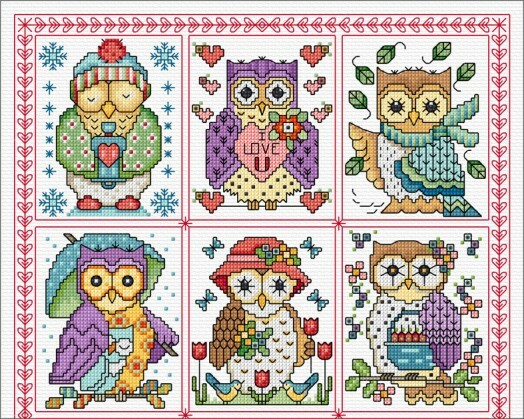 Thank you to Bronwyn Prasad who has sent me her picture of one of my owl designs. Two sweet little Christmas motifs ready for you to download for free. 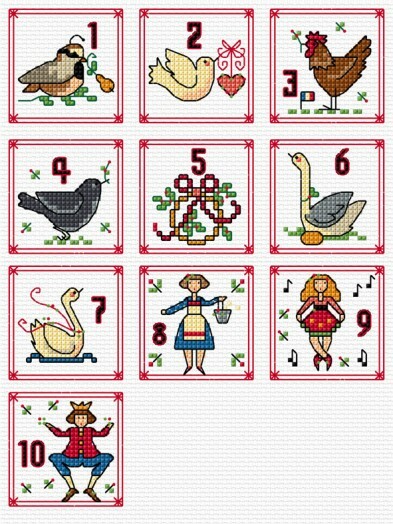 I will add the rest of the 12 days of Christmas when I have the chance, but I will get them all out during the next 4 weeks, if not a bit earlier so you will have time to stitch them for cards. Keep checking my Blog or my FB page for more of them. It has been a better week, so far for me, with accesss again to the Internet. Like most of us, I rely on it so much for work let alone keeping in touch with family and friends and posting on FB. I have just completed the first six designs for my new SAL which will start on the 1st January 2019. 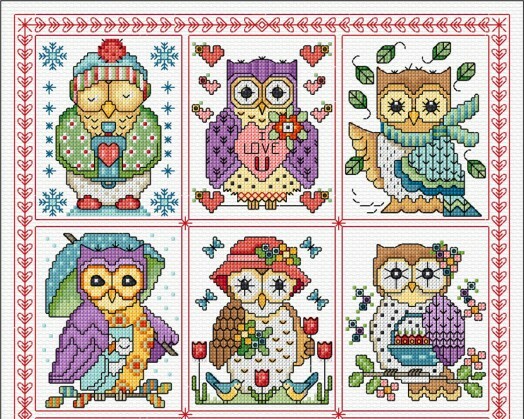 This time it will be a series of owls so a bit different to the Sunbonnet Sue lasses. 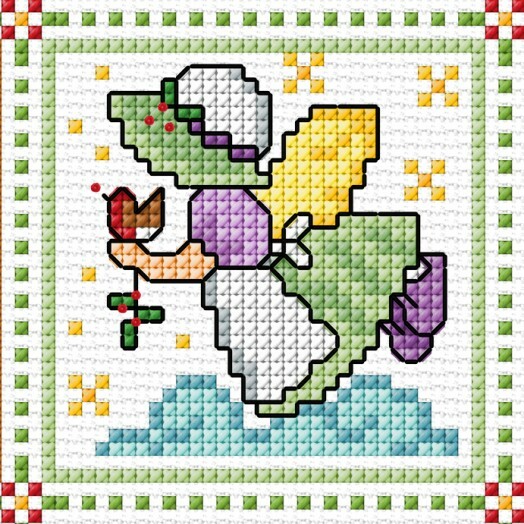 The border is simple backstitch in red and I am going to suggest that DMC 666 in Perle no 12 is used. Alternatively 1 strand of stranded cotton in 666 will be OK, but will not give the same finish to your design.